Nobody hunts like this Krutabulon warrior-priestess! 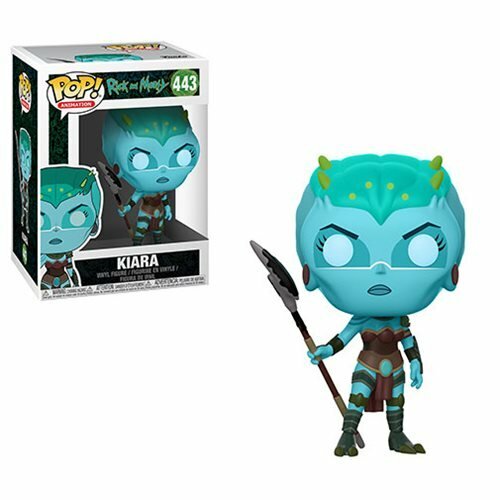 The Rick and Morty Kiara Pop! Vinyl Figure #443 measures approximately 3 3/4-inches tall and comes packaged in a window display box. Ages 3 and up.